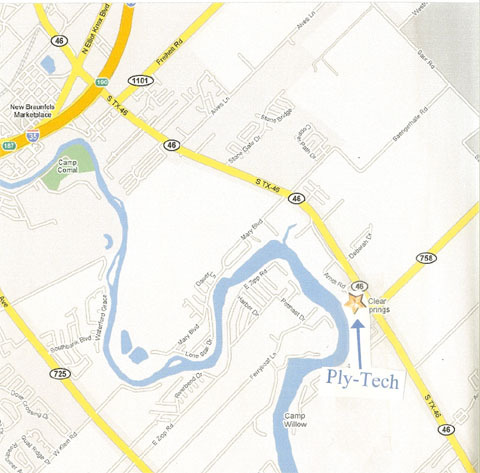 Ply-Tech is located about 30 minutes northeast of San Antonio, Texas in New Braunfels. 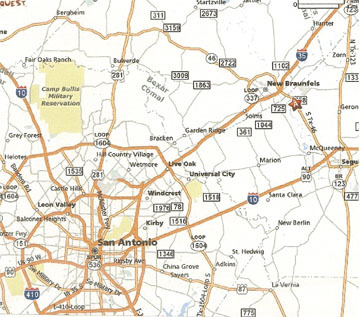 Take Interstate 35 to New Braunfels and exit at 189 onto State Highway 46 going east toward Seguin. We are on the right about 3 miles and just before Clear Springs.